PROTECT Company manufactures easy-to-use products for quick-assembly fencing: plastic marker posts.. With them, the installation of temporary barrier on any ground will take only a few minutes. 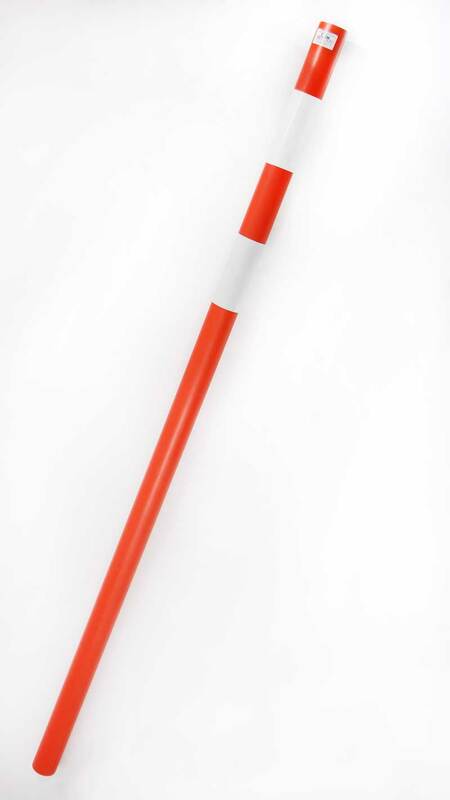 The signal marker post of PROTECT Company is an orange or bright red plastic pole of 40 mm diam. It’s manufactured of polyethylene, tolerates low sub-zero temperatures. The bright orange color of plastic marker post makes it clearly visible under any weather conditions. If intended for use at night, the signal marker post benefits by having white reflective stripes. They reflect headlight that provides absolute safety of the fence for drivers and pedestrians. 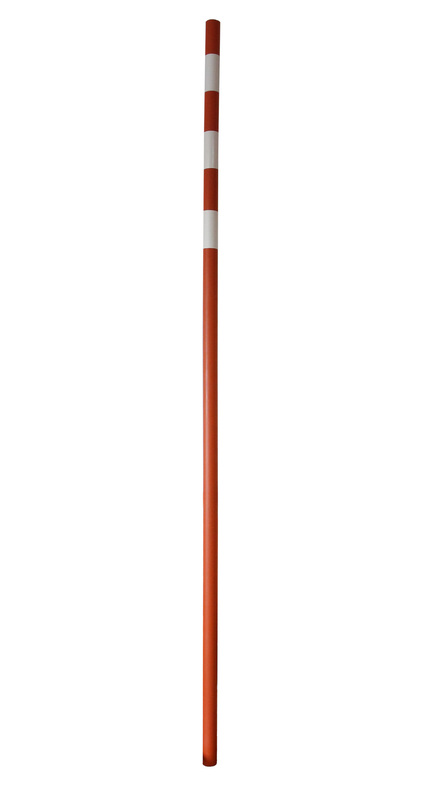 Signal marker posts are characterized by their small weight and extremely easy use. For their installation you can choose some additional devices from our catalogue. 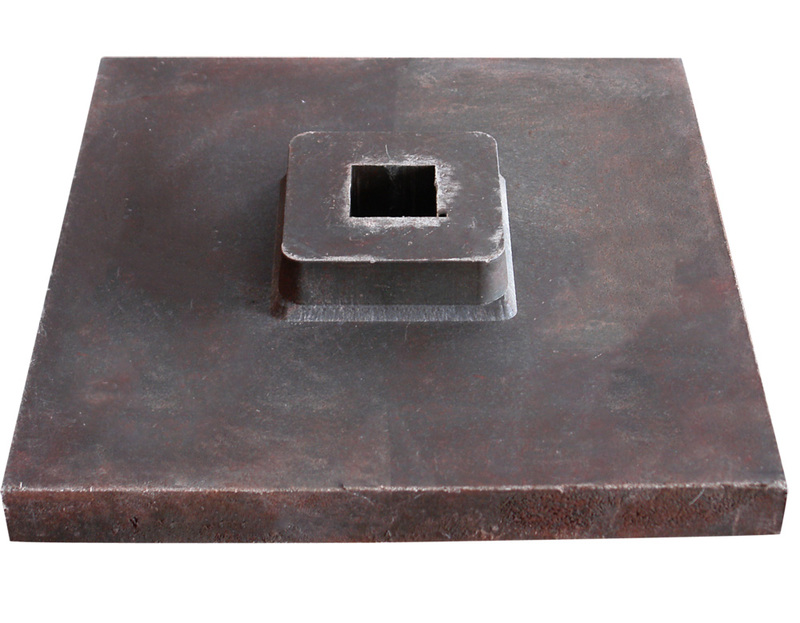 For secure fixation of marker post on a solid ground, like paving tiles or asphalt concrete surface, it is advised to apply broad and weighty polymeric marker post base. Road-building industry. Marker posts will create a framework for safety fencing together with safety mesh and signal traffic lights. With the help of our products one can quickly construct a safety barrier screening the spot of current road works or place of road accident, redirect traffic flows while road maintenance works. Sports and cultural-mass events. The signal marker post is perfectly visible at day and night time, in heavy rain or snowfall. Being the basis of fencing construction it allows to lay out the territory of mass event, parking or other functional zone. In sports competitions marker posts are used to outline the course for athletes, skiers and cyclists. Driving school territory. Together with signal traffic cones marker posts present durable and sd at territiafety be base/afe elements of road marking.